The Chicago Fringe Festival has announced its line up for the 2012 Festival. Performances in the third annual Chicago Fringe Festival will take place in a variety of venues in Pilsen, August 30 – September 9. Tickets are on sale now. Entrance to the Festival is a one-time button purchase of $5, after that all individual performances are $10. Passes with a discounted ticket price are available when attending multiple performances: five-show pass is $45, ten-show pass is $80 and an unlimited pass is $175. Each venue will have a box office for day-of purchase and the Festival box office is located at 600 W. Cermak. Tickets may be purchased at chicagofringe.org or by calling 866.441.9962. 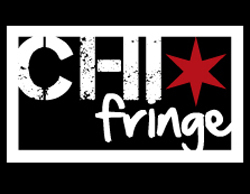 The Chicago Fringe Festival features 24 acts from the Chicagoland area, 22 from the United States as well as The Interpreters from South Korea and Le Petite Famille from France and Canada. By the time the Festival is over, September 9, there will have been more than 200 performances by about 180 performers. This year’s Festival also includes several performers from previous years; Kate Healy in Lie Light, Time Out Chicago delcared her performance in 2011 as the “break out act of the Festival” and two performers who have been seen in every festival since the Fringe began three years ago; Rebecca Kling in Storms Under Her Skin and League of Miscreants in Roast of Cinderella. Some of the performance groups in Chicago Fringe Festival 2012 have participated in other prominent Fringe Festivals, including Indy Fringe and the New York Fringe Festival. Join the Fringe staff and performers for an opening reception at Fringe Central at 600 W. Cermak with appetizers and drinks and then head out to see a show! Donors to the 2012 Chicago Fringe Festival’s Kickstarter campaign are invited to a special VIP Party at Fringe Central. Local flavors of Pilsen will be on hand to eat, as well as music and drink, plus the ceremonial signing of the bench! Come meet and hang with the 2012 Fringe Artists. Patrons will be able to mix and mingle with the performing artists from the 2012 Fringe Festival over a special brunch. The complete list of day to day performances and times, company and performance descriptions and venues, please go to chicagofringe.org.